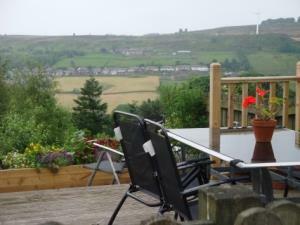 Bilberry Cottage01535 644755work01535 644755fax Self-cateringBilberry Cottage is a self-catering establishment located in Haworth with 1 double en suite and 1 twin en suite. A great place for families with a small holding on site with pigs, horses, cows, hens, ducks and rabbits for children to feed. There is a large outdoor play area with swings, a slide, Wendy House, toy cars and a football net. Only a ten minute walk into Haworth village with Bronte Museum and Keighley Worth Valley Railway. 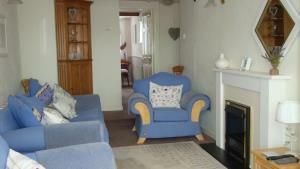 We are two minutes from Haworth Moors with an access path for Top Withens. Go to the top of the village, the Old Sun Pub. Take the 1st left and left again. The cottages are the 3rd drive on the left (signposted).